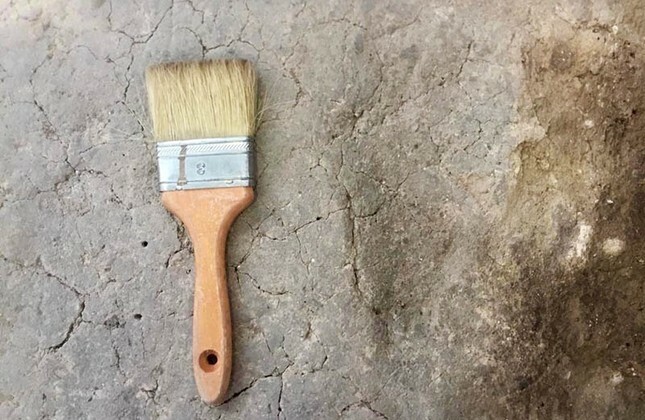 Turkish archeologists discovered two 7,500-year-old footprints in the northwestern Bursa province of Turkey. Necmi Karul, an archeology professor at Istanbul University, who also leads the excavations the Aktopraklık settlement, told Anadolu Agency that archeologists found two "alternate" footprints on the base of the ancient settlement. "This footprint was a finding that brought us closer to the people who lived here 7,500 years ago," he said. Noting that footprints were rarely spotted during the excavations, Karul said the footprints were 26-27 centimeters (around 10 inches) long, matching the modern age's 42-43 sized shoes. Karul said that people of the prehistoric village were not different from the modern people, adding: "The person we are talking about has the same characteristics as the people who live today." He also noted that the Aktopraklık settlement mound gives information on around 8,500 years of history. Stressing that life continued in Aktopraklık for a thousand years without interruption, Karul said: "The first settlement in the mound extends to 6,500 B.C." Karul said that excavation works at the prehistoric village reached 15 years, and that every year archeologists discover new details on early human civilizations.